The Koshin PB-65011 2 in. 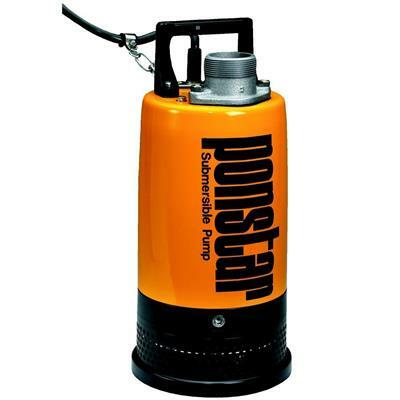 1/2 HP 110-Volt Submersible Metal Pump is designed for moving larger quantities of water such as flooded areas. With its top discharge making this pump slim. It can fit into openings as small as 7-1/2 in. diameter. This unit features a maximum pumping capacity of 4,600 gal. The Koshin PB-65011 2 in. 1/2 HP 110-Volt Submersible Metal Pump is designed for moving larger quantities of water such as flooded areas. With its top discharge making this pump slim. It can fit into openings as small as 7-1/2 in. diameter. This unit features a maximum pumping capacity of 4,600 gal. per hour.